Mehul Das is Associate at IDFC Institute and an International Innovation Corps (a program based at the University of Chicago Harris School of Public Policy) fellow. 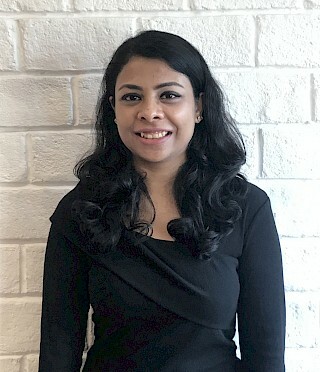 Her work focuses on engaging with the government and non-profits in India, to implement innovative solutions to important development challenges. Prior to joining IDFC Institute, Mehul managed projects in varied domains such as education, rural development and sustainable development. She worked with a data intelligence start-up on empowering governments, philanthropies and NGOs to take data-driven decisions. Furthermore, Mehul worked with the Chairman’s Office at Quality Council of India (QCI) under the leadership of the Chairman, Mr. Adil Zainulbhai. At QCI, she worked closely with policy makers on creating frameworks for various government initiatives such as reforms in teacher education and measuring learning outcomes in primary education across India. She has also served as a Teach for India fellow, working in a municipal school in Delhi to understand the existing on-ground challenges with respect to primary education in India. Mehul holds a Bachelor's degree in Business from Indraprastha University, Delhi.